The Trade Union Committee defends the labor, social, economic and legal rights of its members. 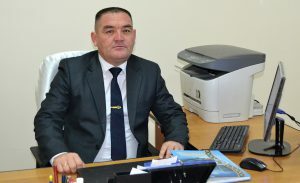 The Trade Union Committee of Karakalpak State University consists of about more than 11 thousand members including professors – teachers, students, service staff, employees and retired employees. The Trade Union Committee works on the basis of Constitution of the Republic of Uzbekistan, Labor Code of the Republic of Uzbekistan, Laws on «Trade Union Organizations, their Laws and Service Guarantees», «Protection of Labor», «Social Organizations in the Republic of Uzbekistan», «Non – Governmental Organizations» and other laws on the service regulation of non – governmental organizations, the Federation of Trade Union of Uzbekistan, Charters and Laws of networking trade unions. The Trade Union Committee organizes conducting celebration of festive actions and 50, 55 and 60 – anniversaries of employees. Every year on May 9 devoting to «Day of Memory and Honor» the Trade Union Committee organizes financial support for the University employees who participated in the Second World War and worked in the rear services. And also the Trade Union Committee organizes awarding of winners of sport competitions among the employees and students.